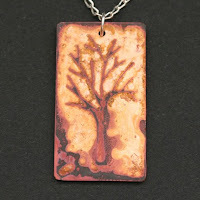 Love the organic look of this hand-imprinted pendant. Comes with a sterling chain, and the pendant is coated to preserve the imprint. From Zbella.